If you’ve been long enough into GPU mining then you are more likely in love with the RX 470s. It is a pity that soon the RX 4xx and 5xx won’t be as profitable for Ethereum as they were, but good news is – not long ago Asus announced a decent replacement that will bring GPU mining to a new level. As any other company, Asus loves to make bold claims, so why won’t we take a closer look at the new Asus Mining RX 470 (MINING-RX470-4G) and see what the fuzz is all about? First of all, it is worth mentioning that the card won’t be available to the end customer until July. The release date still got to be announced, as well as the final price. However, we do have an idea about the price and the power consumption since the new GPU is based on the Radeon RX 470. The Mining RX 470 is basically a Radeon RX470 without the DisplayPort or HDMI connector and a couple of tweaks. Just like its predecessor, the Mining RX 470 features 4GB of GDDR5 and 2048 stream processors, as well as 926 /1206 MHz Base/Boost clocks, respectively. However, its simplified output system will probably mean that the card will cost less than a classic RX 470, which will positively affect the ROI. The fact that the Mining RX470 is meant for miners only will probably further reduce the price of the card, since it won’t be bought gamers; less demand usually means smaller price tag. While we all spent the whole night raiding enemy bases or fighting a dragon with our friends at least once, gaming GPUs are still not meant to function 24/7. Gamers do take a break from time to time and GPU manufacturers design their products having that in mind. 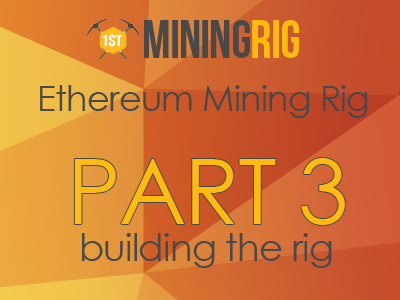 Now, a normal mining rig will function at full load for months non-stop. This is an important thing to consider since not all GPUs can handle this pace. The GPU part that is ruined first after months of continuous usage is usually the cooling fan. Having that in mind, Asus equipped the Mining RX470 with dual-ball-bearing fans, which are meant to have a twice longer lifespan, compared to a traditional sleeve-bearing mechanism. This innovative system further reduces friction and prevents lubricant from drying out. We can expect Mining RX470 fans to be more silent too, which is great news for home miners. The Mining RX470 fans are also dust-resistant. They are compliant to IP5X, which means that they won’t accumulate dust as fast as other fans. Sounds like magic? Well, it is not. What happens is that the design of the cooling system shapes the air flow on a way that it keeps dust away from important components. Dust is a great issue when you mine at home where you have no way of keeping the air perfectly clean. We still have to check whether this is true and how this will affect the build quality of the GPUs. Personally, I’m more than fine if they make the new mining GPUs the same way they made the classic RX 470s. Build quality is important, but I really hope that their new manufacturing technology won’t impact the final price of the product. According to the manufacturer, the Mining RX470 will feature a utility called ‘GPU Tweak II’, which is meant to make overclocking easier by having an “intuitive and visual” interface. While the idea sounds great, I do believe that experienced users will still prefer to employ modded BIOSes and custom utilities to tweak the card. GPU Tweak II might be a great tool for beginners, though. Do I think that the Mining RX470 will be as groundbreaking as the classic RX470? Not really. The main and most obvious reason is that the RX470 can be re-sold to gamers, while the Mining edition is basically an ASIC – once the profitability drops down, no one will ever want to buy the card from you. The card does comes with a gaming booster tool and a DVI port, but the absence of the HDMI port makes the card of little interest for mid/high end gamers. On the other hand, if the Mining RX470 price will be right, then we will be probably dealing with an economic GPU that can be used to mine ETH and other profitable GPU-based algos.